George is based in the Beenleigh Office and has experience in providing Financial Advice, particularly Wealth Protection and Superannuation. George first entered the financial advice industry in 2014; completing his Tier 1 Certificate to provide Personal Insurance advice. He then began assisting clients with Personal Insurance products as an Authorised Representative of the CHUBB Group, formerly ACE. He then went on to complete his RG146 Diploma of Financial Planning in August of 2015 so that he could increase his knowledge in Wealth Protection strategies to further assist his various clients. 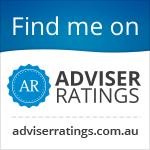 George is passionate about building long lasting relationships with his clients and educating them so that they are comfortable with their financial strategy. He enjoys helping others to achieve their goals and undoubtedly holds his client’s needs at the forefront of his work. George is committed to ongoing personal and professional development and is a firm believer in the value of lifelong learning. He has specialist skills in the areas of Superannuation and Wealth Protection; mainly Key Person Insurance, Business Expenses cover, Life Insurance and Salary Continuance. Outside of work George enjoys spending time with his family, preparing a quality BBQ, enjoying the views and walks at Mt Tamborine, and is a passionate Motorsport enthusiast. What Georges clients say about him. "I have been a client of Georges for about 5 months now,! I couldn't recommend a more professional down to earth person to help organise the best and most suitable insurance for my situation, George goes that extra mile to keep in touch and makes you feel like a respected human again, it's hard to find someone who is on this line of work that wants to help you and doesn't just think about themselves, can't recommend George Maris enough Thanks heaps, Ryan Dadd "
For more client reviews on George click on the Adviser Ratings link on this page. WHAT QUALIFICATIONS AND PROFESSIONAL MEMBERSHIPS DOES YOUR FINANCIAL ADVISER HAVE?